I was incredibly excited when I was asked to contribute to this great blog that I have been reading for a while now. I have learned a lot reading this and other AMS blogs, and the opportunity to contribute arises at a great time, as I am trying to redefine and redirect my work post tenure. I thought about writing about my experiences mentoring students and how much I have learned from them. I thought about sharing the ups and downs and advice I wish I had known. That excitement lasted for about 5 minutes before my good old friend, the Imposter Syndrome, kicked in. I am a terrible writer! There are so many more qualified people than me out there who could speak about mentoring. So what can I teach anyone about this? Besides, what do I really know about mentoring? And it was this very last question that made me realize that this might not be about me. Maybe it is not about what I know about mentoring, but more about the great mentors in my life and what they have done for me which has lead me to where I am now. Ah, panic gone, at least for a little bit. I have been incredibly lucky to have had and remain in contact with some of the most amazing mentors. I will talk about a few of them who made a huge impact on me and how they have shaped the way I approach mentoring now. 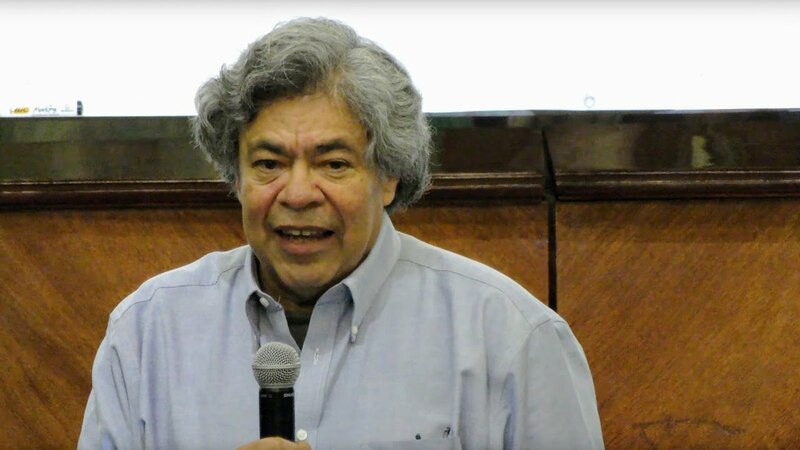 It started with my middle school teacher, Cesar Octavio Perez Carrizales, (yes, I am from Mexico and we all have long names) who saw something in me and decided that I needed to participate in the Mathematics Olympiad when I was 13. He put up with my insecurities and pushed me to be better and to believe in myself. I like mathematics because he showed me it is much more than multiplication tables. But he was also tough on me and would not allow me to feel less than my male peers (and many time they were all male peers). I learned from him how to push students, how to be firm, but to always have a sense of humor. The first three years of my undergraduate education, I attended the Center for Research in Mathematics (CIMAT) in Guanajuato, Mexico. This was a very intense school in which virtually all the classes I took were mathematics courses using graduate-level textbooks. After a few semesters there, the pressure of the school combined with a few personal issues, led me to temporarily forget why I wanted to do math. Dr. Oscar Adolfo Sanchez Valenzuela, a Harvard graduate, who was very active in research in algebraic geometry and was at that time the director of the undergraduate program, took time out of his incredibly busy schedule to meet with me and talk math, outside of class, just for fun, in order to convince me that math was the right path for me. The only problem was that he could only meet at 4:30 am. So he would pick me up on his way to school, and we would talk math twice a week from 4:30 am-5:30 am. He helped my passion for math come back. I learned from him how good mentoring sometimes requires hard sacrifices and that if one believes in a student, and the students ability, one needs to make those sacrifices, specially when the students are willing to put in the work. The last, but maybe the most influential mentor in my life, is my PhD advisor, Dr. Hristo Kojouharov. Dr. K., as we very affectionately called him, has been and continues to be the person I turn to when dealing with any problem in my career. I met him at an undergraduate conference (Plug: Attend undergraduate conferences and meet people!) in April of my last year as an undergraduate career, which I finished at the University of Texas at Dallas. He asked me what I was planning to do once I graduated, and I honestly had no idea. He asked me to apply to the University of Texas at Arlington, even though applications where already past due, and told me to visit the school the following week. He became my advisor right then. There are a million examples of Dr. K.’s amazing mentoring and how he helped me, but this is a blog post, not a book, so I will share only a few. Dr. K. had me sit in on a meeting with his collaborators in order for me to pick a project. I really did not understand how crucial that is in mentoring students, especially first generation college students, who might never even heard about research, which can be very intimidating. By doing this, I was able to take ownership of the project and, from the very beginning, make important decisions on what problem I wanted to work on and how I wanted to approach the problem. Moreover, by having me sit in this meeting, I learned first-hand about interdisciplinary collaborations. This is a model I have successfully replicated with some of my students. I believe in involving students in every decision of the research process and in having those decisions be a learning moment for them. I also believe that students who are interested in their topic and who helped decide the path the project will follow, are more engage and passionate, which leads to better research and better mathematicians. I have countless stories of ways in which Dr. K. helped my academic career outside of mathematics. From making sure I attended conferences and talked to leaders in the field of applied mathematics, to having me advise undergraduate students in research while I was a graduate student myself. Another very important way Dr. K. helped my career was while I was applying for jobs, before graduating. But more than that, knowing I was hoping for a tenure track position, he gather other professors to read and comment on my material, to conduct mock interviews with me, and even to help me figure out what to look for during on-campus visits and how to negotiate once I received different offers. It is important for all of us who mentor students to take the time to talk to them about opportunities such as REUs, conferences, workshops, and internships. We should never assume students know how to navigate academics, and we need to listen carefully to be able to advise them best depending on what they want to do and we should not think that we know what is better for them. Dr. K. is an expert in balancing what his students need and what he thinks or knows will be better. 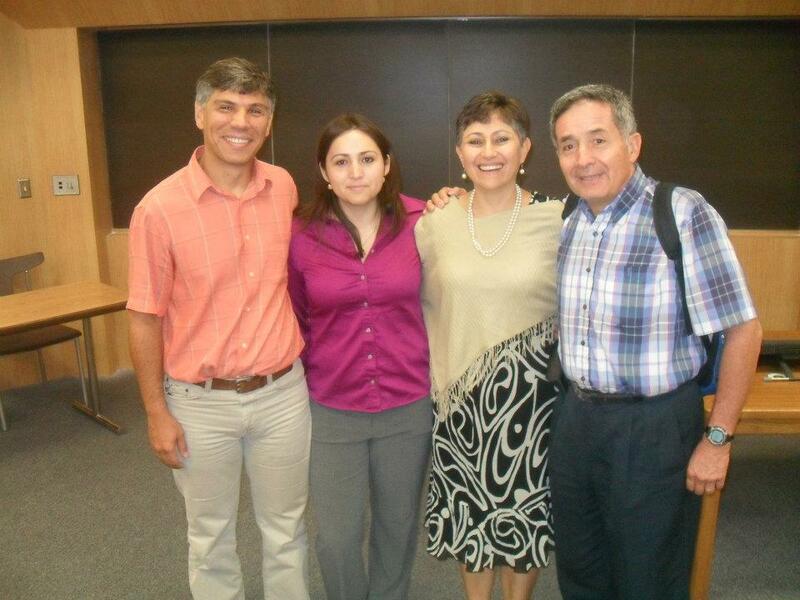 Dr. K, Alicia Preto Langarica and her parents at her dissertation defense. Being Mexican, I come from a large, very close family, who cares about me dearly, but could not understand my decision to pursue an academic career. I grew up being pressured to get married and start a family, not to get a PhD. And mathematics was something they could not understand me liking. One of the greatest gifts Dr. K gave me was the ability to have my family at my PhD dissertation defense. My parents, aunts, uncles and grandmother all came from Mexico for it. Dr. K. and my committee agreed to address the heavy math beforehand and let me focus my presentation mostly on the biological problem, making it easier for my family to follow my presentation. Afterward, Dr. K. invited all of us to his house to celebrate. I will never be able to thank him for doing this for me and for understanding how important my family is to me. My parents have a much better understanding of my job and my career as a whole thanks to this. Dr. K. taught me to see my students as human before seeing them as students and to, even when not completely understanding their background, making an effort to provide them with what they need inside and outside of mathematics. One of my dreams in life is to have the space and means in my house to do this for my students and their families. My wonderful mentors have had an incredible influence in my life, shaping my mentoring style and making me a better professor. So, even though the impostor syndrome might have made me temporarily doubt myself, writing this blog reminded me, that I know more than I give myself credit for. This entry was posted in General, Outreach, Uncategorized. Bookmark the permalink. Thanks for providing the details about what you learned from your mentors. All too often tributes to mentors only include praise for the mentor and leave out the impact the mentor has had. I’m delighted you found these mentors and they found you.